Spiritual structures in your body can contribute to nightmares and possibly to sexual addictions. This video gives tools for release of ungodly structures. Cost includes 428 days of access after purchase date. Most Christians are aware of the impact demons can have on our lives. Fewer are aware of the structures that the spiritual realm puts in place in our body, our mind and our spirit in order to hamper our Christian walk. Since structures do not have a will, they cannot obey a command like a critter can. 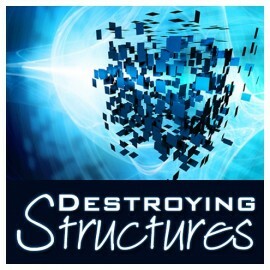 The structures have to be destroyed by the Holy Spirit. This live stream will explain the theory behind the strategy and then will model warfare prayer for destroying structures. The recent stream entitled “Got Predators?” was old manna – well tested over decades. This is NEW WINE. We have had very good success in a small number of people addressing the structures related to nightmares, but this is still only a modestly tested idea. Those who participate in this event will be the first big test we have had. The issue of devices being a contributing factor to sexual addictions is only a warm potato – not even half baked. We have only tested this lightly and seen results recently. That said, we know there are many in the tribe that suffer under both problems and have not seen movement. Hence, I have decided to field test these tools on a large scale using this video. An onion and anchovy pizza will cause bad dreams. Sometimes they use structures to cause the nightmares. Here is hope and help.